Most can agree that a lively and visually appealing smile contributes to memorable first impressions, warrants good health, and encourages a better sense of self-esteem. However, because our smiles are used for so much, having naturally radiant teeth may seem out of reach due to certain dental, functional, or aesthetic limitations like discoloration, misalignment, gaps, trauma, or wear. At Ultimate Aesthetics by Dr. Steve Bader, we believe every patient has the right to experience complete confidence in a smile that exudes a healthy self-image while improving the overall quality of life. Our team achieves this by providing the highest quality of cosmetic services throughout paired with our continued passion for helping others throughout Newton Centre and the surrounding communities. 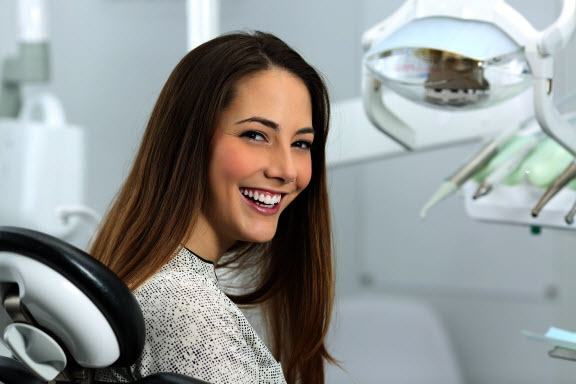 Whether you’re looking to enhance your smile’s appeal with teeth whitening, or restore dental integrity with quality implant restorations, we can help you obtain that Hollywood-worthy smile you’ve always wanted. Contact us today to discover which of our cosmetic dentistry solutions can benefit you! What Are My Options for Cosmetic Dental Care? Each smile is as unique as the person it belongs to, and each requires a personalized approach to achieve the results they want. Cosmetic dental services can be tailored to meet the specific needs, concerns, and aspirations of each individual. Although cosmetic services primarily focus on the overall appeal of your smile, aesthetic dental care also serves numerous health and functional purposes. It can address many smile limitations that can hinder everyday life and your self-esteem. Compared to other braces, Six Months Smiles offers a unique solution to correct dental misalignment. Like traditional braces, this treatment uses brackets and wires to position teeth to ideal alignment. Rather than utilizing metal components, Six Month Smiles uses clear wires and tooth-colored brackets, ensuring the braces are virtually unnoticeable while you straighten your smile. 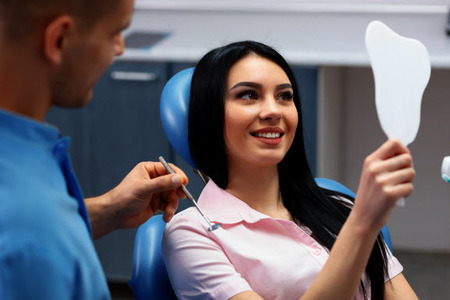 For those who wish to address bite misalignment and straighten their smile while maintaining a professional or more natural-looking appearance, Sixth Month Smiles can be an ideal solution. What are the Benefits of Choosing Six Month Smiles? Speed: As suggested in its name, treatment often takes about 6 months to complete, making it a great choice for those who are wanting to meet certain deadlines for a straighter smile, such as an interview or wedding. Aesthetics: Six Month braces aren’t as invisible as such, but they are much less noticeable than traditional braces. The brackets are smaller and are made of clear materials, while the wires are matched to the color of your teeth. Some patients may worry about their appearance while undergoing traditional braces treatment, but with these braces, image doesn’t have to be an issue, and patients can continue smiling with confidence. Comfort: Six Month Smiles works quickly without compromising comfort or quality of treatment. The self-ligating wires reduce friction and are light and fine. Cost: As the treatment process is simple and the time is so short, fewer appointments are often required. This could mean that treatment is more cost-effective than other orthodontic treatments. Results: One of the reasons Six Month Smiles works so fast is that it focuses on the social 6, the front, and most noticeable, teeth of the mouth. It does so because these are the teeth that are visible when you smile. By focusing on these teeth, this treatment increases chances at ideal aesthetics once complete. How Does Sixth Month Smiles Compare to Invisalign®? When undergoing Six Month Smiles®, you can expect the clear brackets and wires to be placed on your teeth for the duration of treatment until the desired alignment is achieved. Because they are clear, they are more discreet than traditional braces, but not as discreet as Invisalign®. With Invisalign®, you wear removable clear aligners throughout the treatment process. A new aligner is used every two weeks as your smile’s position gradually improves through treatment. The Invisalign system is a series of clear aligners that gently and discreetly straighten teeth. Invisalign trays are nearly invisible, completely removable, and will keep you eating your favorite foods. This method continues to increase in popularity, as many patients prefer this discreet yet effective choice. Invisalign works by gently shifting teeth into ideal alignment. 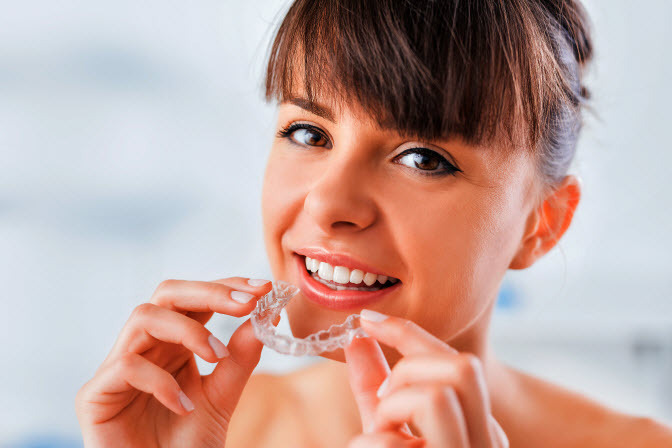 Patients are given a series of aligners that are changed out every two weeks. With each new set, your teeth gradually become straighter. Why Choose Invisalign Over Traditional, Metal Braces? Conventional braces are made up of metal brackets and wires which use pressure to guide mild to severely misaligned teeth into proper alignment. Although effective; they are not the most comfortable, as the metal workings can rub against soft tissues inside the mouth. Hygiene is also more concerning as leftover food particles can easily embed themselves within these metal workings. Patients with traditional braces often require professional flossing to ensure the intertwined spaces between the teeth remain clean, preventing decay or infection. With Invisalign’s transparent aligners, the customized trays are designed to be worn over teeth. The aligners then use mild, pinpoint pressure to gently shift minor to mildly-misaligned teeth into ideal position over several months. To achieve the best results, you must wear the clear trays 22 hours per day. You can remove the aligners before meals and during your at-home hygiene routine. Because of the removable design, Invisalign is easy to maintain, simply rinse the aligners with lukewarm water after meals and at night to prevent the buildup of bacteria. Aside from being recommended primarily to responsible teens and adults who will comply with wearing their aligners for up to 22 hours, a viable candidate for Invisalign must be determined in good oral health. Those with active issues such as gum disease, decay, or cavities will need initial treatment first for eliminating these issues. A healthy smile, free of infection ensures your aligner treatment will not worsen any current oral health complications. In purely aesthetic terms, mercury blended, or amalgam materials, are less desirable these days because its dully silvery color doesn’t match the shades of natural teeth. Over time, amalgam fillings can cause discoloration in the surrounding tooth. Although these materials have been in use for many centuries, these mixtures contain mercury, silver, tin, and copper, and concerns over the toxicity of mercury have led to amalgam falling out of favor. Many dentists now recommend that people with amalgam fillings have them replaced with safer materials like white, composite resin. Resins are primarily used to repair teeth that are broken, worn, chipped, or when teeth require fillings. Tooth-colored resins are popular because of their ability to be color-matched to the natural shade of your teeth, so once resin fillings are fitted, they blend into your natural smile with ease. At Ultimate Aesthetics, we only use the highest quality of body-safe, natural-looking materials for every filling or veneer we offer. Dental veneers are thin yet durable shells of porcelain that are cemented over the surfaces of teeth. During treatment, teeth are prepped with a light buffing to provide a smooth, clean foundation for your new veneers. 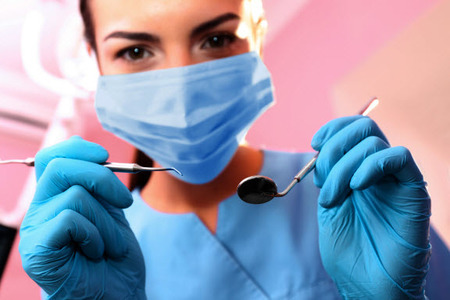 This is also necessary to ensure that treated teeth do not look and feel thick or bulky. Though veneer treatment does alter your teeth, it does so without negatively impacting overall dental health. Veneers are a cosmetic option that improves your smile in the least invasive way possible. What Smile Issues Can Veneers Correct? Once placed, these enamel-colored shells provide a brighter, straighter, and more uniformed smile. Other cosmetic dentistry treatments like teeth whitening are often recommended before veneer treatments because these porcelain shells are matched to the shape and color of your neighboring teeth. Still Not Sure if Veneers are Right for You? Questions to Ask Dr. Bader! Will insurance cover veneer treatment? 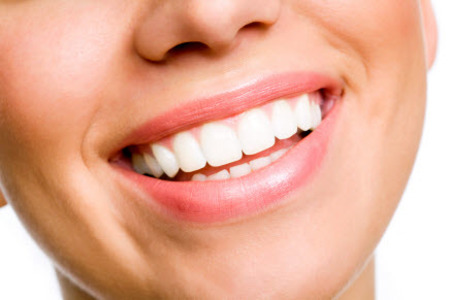 How can I keep my veneers white? Do veneers ever fall off? As one of the most popular services of cosmetic dentistry, professional teeth whitening is a great way to improve the appeal of your teeth effortlessly and safely when administered by the team at Ultimate Aesthetics. In-Office Teeth Whitening with Phillip’s Zoom! In-office, or chairside teeth whitening, offers a comfortable way to brighten your smile by multiple shades within a single visit. However, treatment times may vary depending on the severity of discoloration. For those with more hectic schedules that make it difficult to get their teeth whitened at our office, we provide take-home kits. This method includes trays crafted to fit your smile perfectly. With this option, you have complete control of when and where you wish to lighten your smile. How Did My Teeth Become Stained? Tooth discoloration is often unavoidable. Highly pigmented foods and drinks, such as dark berries, red wine, coffee, tomatoes, and soda all stain your porous enamel because these pigments have larger color molecules that attach to your teeth, causing discoloration. Stains can penetrate the enamel, causing lasting discoloration that is often impossible to remove with over-the-counter products. 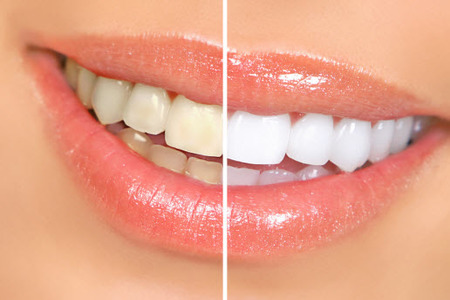 Whatever the cause of your enamel discoloration, professional teeth whitening uses special-grade gels or solutions to break up the molecules that form stains, significantly reducing or eliminating them on a safe and powerful level. How Will I Know if Teeth Whitening is for Me? Professional teeth whitening can be tailored to meet almost any lifestyle. However, patients that are in good oral health with smiles that are free of decay or infection are ideal candidates for professional teeth whitening. Truly radiant smiles start with optimal oral health. Healthy teeth, gums, soft tissues, and other oral structures set a strong and secure foundation for your cosmetic treatments to be beautiful, long-lasting, and successful. 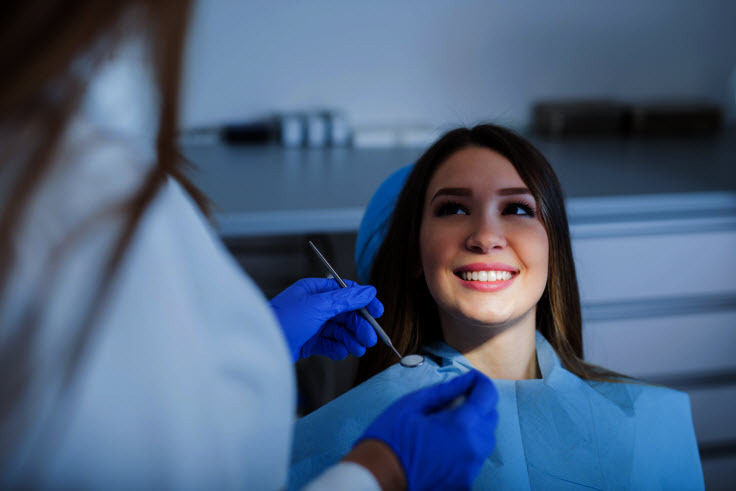 An examination of your oral health and a detailed dental cleaning is necessary before receiving any cosmetic treatments for enhancing your smile’s beauty. If concerns like gum disease are present in your smile, treatment to help eliminate this issue will be needed beforehand. What is Gum Disease and How Can it Affect My Smile’s Aesthetics? Gum disease is an oral infection that attacks the gums which are responsible for securing your teeth in proper place. Though it is not uncommon for adults in the U.S. to experience some form of the condition in their lives, gum disease is serious, it is the number one leading cause of tooth loss, and treatment should not be taken lightly. What Are My Options for Restoring Missing Teeth? Bridges- are false teeth that are designed to "bridge" the gap created by one or more missing teeth. Traditional bridges can be anchored on either side by crowns and cemented permanently into place. Dental Implants- are replacement tooth roots. Implants are small posts made of titanium or a titanium mixture that are placed into the jawbone where teeth are missing. Dentures- are a removable replacement for missing teeth and surrounding tissues. They are made of acrylic resin, sometimes combined with metal attachments. Complete dentures replace all the teeth. Partial dentures are considered when some natural teeth remain and are retained by metal clasps attached to the natural teeth. Contact Ultimate Aesthetics Today to Achieve Your Ultimate Smile! Call or visit our Newton practice for information on how your smile can be improved through our high-quality cosmetic treatments. Dr. Steven Bader and his exceptional staff will be happy to answer any questions you may have!